Coffee in Spain: How do you like yours? One of the many things we love about Spain is its coffee! 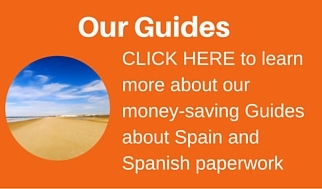 Did you know that there are so many ways to order coffee in Spain? People say that the Americans have too many ways of ordering a coffee … but what about the Spanish. Depending on in which region you find yourself, ordering a coffee in Spain can be quite a complicated affair. Thankfully, unlike the extremely polite and sometimes, over efficient Americans, your Spanish waiter is not likely to offer too many options. That is not, however, to mean that you will receive what you think you have ordered! Café con Leche: A regular old coffee with milk (although it may be stronger than you are used to). (Café) Sombra: A slightly weaker coffee with milk. 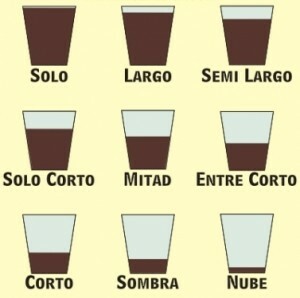 (Café) Nube : A much weaker coffee with milk. Carajillo: A small shot of black coffee with a generous splash of alcohol. The most typical being coñac although Baileys is pretty nice too! Bomboncito: A small black coffee with condensed milk. Manchado: In Murcia, it is like the Bombón, but with less condensed milk. How many of these coffees have you tried? Which is your favourite? Please let us know of any we have missed off and we will add them to the list. On another coffee note, this is possibly the oldest poem in praise of coffee by 16th Century Sheikh Ansari Djezeri Hanball Abd-al-Kadir, known as the Saint of Coffee…. friends of God, and of His servants who seek wisdom. stand the truth until he drinks of its frothy goodness. fools in the eyes of God. brings to every man the feeling of luxury and nobility. God will be with you and bless you and your table. the youth and vigor of those who drink it. brings man only well being and nobility.